Dasani is not one for patience. She likes being first – the first to be born, the first to go to school, the first to rise each day. It is the stuff of family lore. She was running before she could walk. Even her name speaks of a certain reach. The bottled water came to Brooklyn’s bodegas just before Dasani was born, catching the fancy of her mother, who could not afford such indulgences. The dim chaos of Room 449 makes it hard to find her baby sister’s bottle and the shelter-issued formula. Dasani knows to read the label, to make sure it is not expired. Then the bottle must be heated. The only way to do this is to leave the room, which brings its own dangers. Crack heads roam the halls. Knife fights roil the cafeteria. Sometimes, Dasani thinks the place is haunted. Her little brother Papa is sure he has seen a ghost. The ten-story brick building was formerly a hospital, back when nurses tended to the dying in open wards. Room 449 is “where they put the crazies,” Dasani says. She opens a heavy metal door and steps into a dark stairwell. The communal bathroom to the left recalls One Flew Over the Cuckoo’s Nest. Tiled in steely green, its centerpiece is an arcane, industrial bathtub that the children routinely douse with bleach. Their feet have grown numb to the sting. Dasani moves in a cocksure manner, the way her mother instructed. She takes the stairs to the first floor cafeteria, where more than 280 children will soon gather for breakfast. They must wait in one long line for food that comes prepackaged and unheated. Then they will stand in a second line, waiting to warm their plates in one of two fickle microwaves. The whole exercise can take an hour. But luckily, right now, the cafeteria is still empty. Dasani places the bottle in the microwave and presses the button. An examination of child poverty in 21st-century America, as told through the story of one homeless girl and her family in New York City. 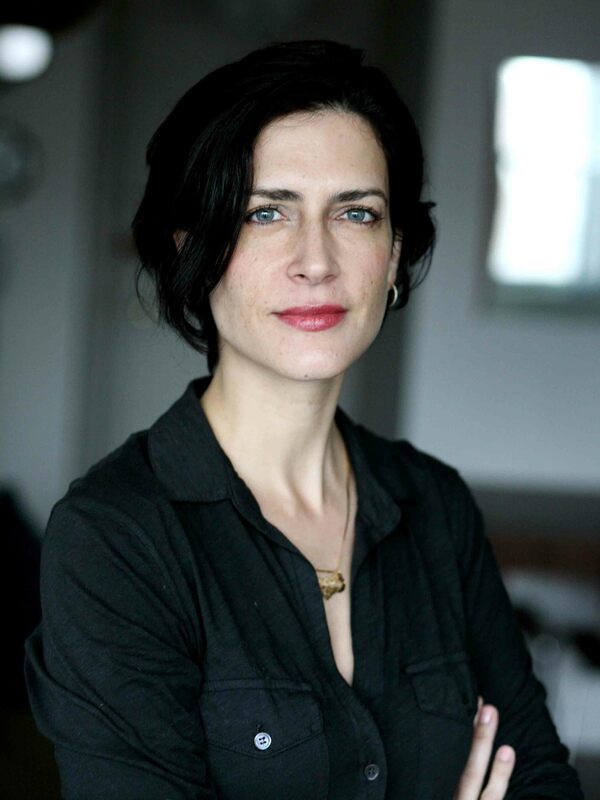 Andrea Elliott is a prize-winning investigative reporter on book leave from The New York Times. Her work has focused on marginalized people, winning a George Polk award for her 2013 series Invisible Child and the Pulitzer Prize in 2007 for her series An Imam in America. She has received honorary doctorates from Occidental College and Niagara University. In 2015, Elliott was awarded Columbia University's Medal for Excellence. She is the daughter of a Chilean immigrant mother and an American father. The grant jury: This is a shocking view of child poverty, situated in the most unequal city in the country, and viewing it through the experience of the child herself raises the stakes immeasurably. The author shows a deep ethical responsiveness to her subjects. Most commendable—and rare—is her capacity to weave a vibrant tapestry comprised equally of biographical reporting and of socioeconomic and political verities. This book deals thoughtfully with the causes of child poverty, and with the possibilities of evidence-based solutions; it will inaugurate transformative discussions of homelessness here and abroad, deepening our understanding of the effects of poverty as trauma during childhood—a vital subject for economists, social workers, politicians, therapists, and anyone interested in the American condition.